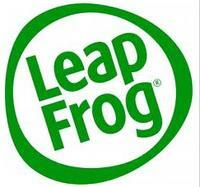 LeapFrog Enterprises Inc. offers the $10 Off $50 Stiewide @ LeapFrog via coupon code "MONSTER". LeapFrog offers 20% off books, games, and accessories via coupon code "JANUARY" with free shipping. LeapFrog offers 25% off Black Friday sale via code "BFSALE". Deal expires on November 25th. Expired Friends & Family Event $10 OFF $60 @ LeapFrog Enterprises Inc. Excludes LeapPad, all bundles, previously marked-down items, app cards and app codes. Not valid for App Center purchases. Today only (Dec 16), LeapFrog offers free shipping on all orders with no minimum purchase required. Even better, coupon code "JOLLYBDAY" cuts 15% off orders of $50 or more. Orders placed today are guaranteed to arrive by Christmas. LeapFrog's Black Friday deals start today! Select gifts are up to 60% off. LeapFrog cuts 15% off orders of $60 or more via coupon code "15OFFLF" during its Friends & Family Sale. Even better, also get free shipping on all orders of $60 or more (before coupon discount). Bundles are excluded from this offer.